UMX Buy or Shop Bamboo, Rattan, Wooden, Plastic, Metal, Polyester, Acrylic, Leather, Fabric, Beaded Handles: For Purses, Handbags, Cigar Boxes, Jewelry Boxes, Wooden Boxes, Tote Bags and Hand Bags - Wholesale Stores - Wholesale Store Pricing. All Listed Pricing are Wholesale Prices. Your Great Resources and Suppliers for Purses, Handbags, Cigar Boxes, Bags, Wooden Boxes and Jewelry Boxes Making Wholesale Hardware Accessory Supplies. Half Ring: Bamboo Handles - Purse, Bag, Handbag, Cigar Box Purse, Wooden Box, Jewelry Box Bamboo Handles. Nickel, antique brass, black nickel and gold color available. Black, clear, brown, red, light blue, pink, purple, yellow, orange, green, navy blue: 11 colors available at the same low cost. Good for cigar boxes, purses and handbags. 1. Natural Bamboo Handles: Black Color +$1.60 / each to the above listed pricing. Full Ring: HB-0T15-BLACK black color model, plus $1.60 / each piece to the above pricing. 3. Burnt Color Bamboo Handle: The new fashion bamboo handle. 4. Nature Bamboo Brown Color Models replaced by HB-AT140 plastic bamboo handles. All handbag/purse hooks: gold , nickel, antique brass and black nickel color available. How To Find The Right Size of Purse and Handbag Hooks ? Metal Handles - For Handbags, Bags, Cigar Boxes, Jewelry Boxes, Wooden Boxes and Purses Metal Handles. 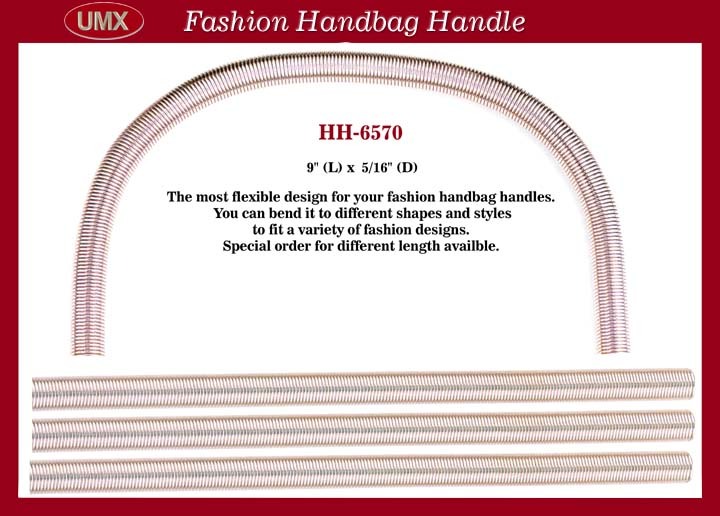 Metal-Wire-Form Full-Ring : O-Ring or Round Metal Handles: For Designer Purses, Bags or Custom Handbags. (Nickel, Gold, Black Nickel and Antique Brass Colors available at the same pricing). - CB Cigar box models: come with screws and rigid end-tips, add -CB to the above model number. - CB model: each handle comes with 2 screws as one set. Gold color end-tips Add $1.00 / each. -QK Beaded Handles - New Model with Detachable Square Hooks. -QK Special Designed, You can sew your bags then install the handles easily ! 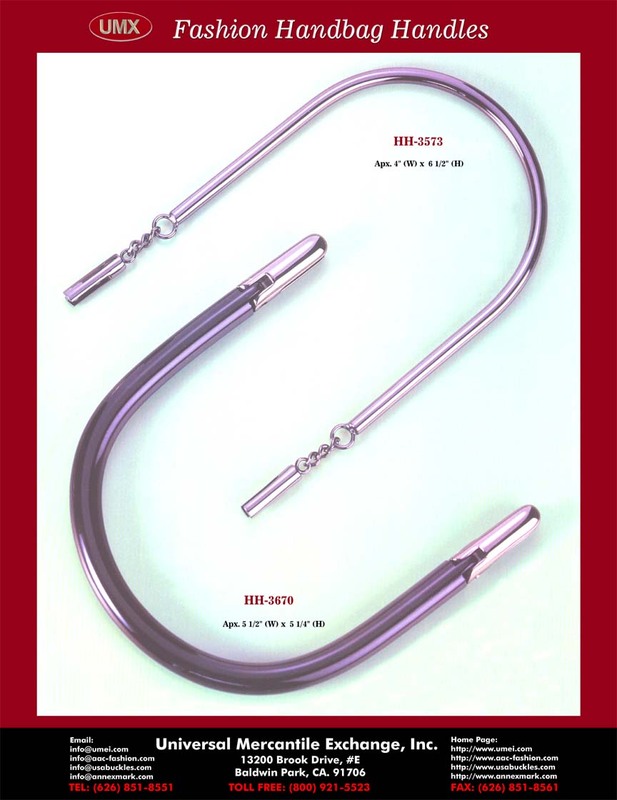 or you can buy optional HC-33 handle clamps to attach square loop hooks onto cigar boxes or wooden boxes. (convert to swingable cigar box handles). - PR models: each handle come with 2 washers as one set. - WB models: each handle comes with 2 washers and 4 screws as one set. 1. Nickel, antique brass, black nickel and gold color available. 2. HH-BF1-064-LK: Antique brass, black nickel and gold color models +$1.00 /each. Only HH-BF1-064-LK model has 4 color available now. HH-BF1-064-LK antique brass, black nickel and gold color end-tips Add $1.00 /each. Only HH-BF1-064-LK come with nickel, antique brass, black nickel and gold color available. -QK Special Design, You can sew your bags then install the handles easily ! 2. HH-BF1-064-QK: Antique brass, black nickel and gold color model +$1.00 /each. Only this model has 4 color available now. Polyester Handles or Plastic Handles Pricing - Handbag, Purse, Cigarbox, Designer Bag, Wooden Box and Jewelry Box Handles. Rattan Handles: Rattan Purse, Bag and Handbag Handles. Wooden Handles: Half-Ring, Oval-Ring, D-Ring Wooden Handles or Wood Handles For Purses, Hand Made Bags and Custom Handbags. You are viewing UMX > Handbag, Purse, Cigar Box > Buy or Shop Wholesale Bamboo, Rattan, Wooden, Plastic, Metal, Polyester, Acrylic, Leather, Fabric and Beaded Handle From Wholesale Stores. Great Suppliers of Purse, Handbag, Cigar Box, Jewelry Box, Wooden Box, Tote Bag, Cigar Box Purse, Shoulder Bag and Hand Bag Making Supplies with Manufacturer's Factory Direct Wholesale Store Low Cost.